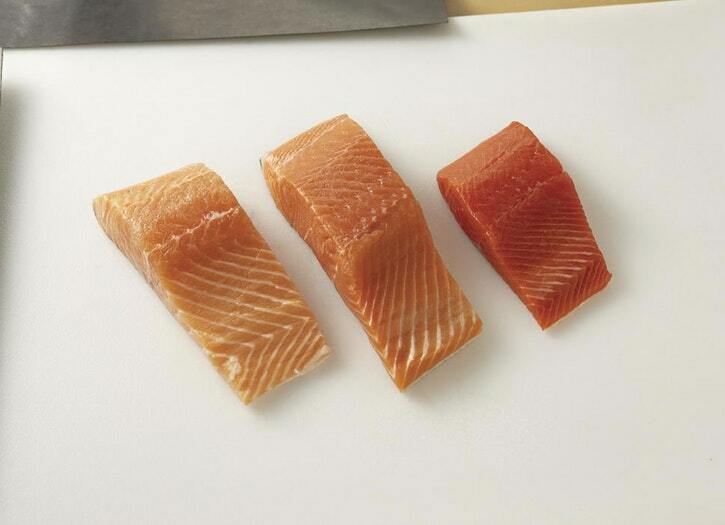 The difference between farm-raised salmon (left) and wild salmon (right) only begins with appearance. Wild fish offer better taste, better texture, and better health. Farm-raised fish may be available year-round, but this is not always good for the environment. Ocean-farmed salmon are often associated with environmental problems. Our suggestion: Buy wild whenever you can.